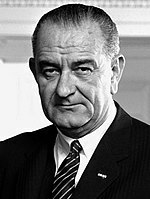 The 1964 United States presidential election in Pennsylvania took place on November 3, 1964, and was part of the 1964 United States presidential election. Voters chose 29 representatives, or electors to the Electoral College, who voted for president and vice president. 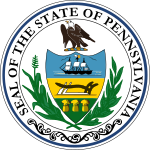 Ever since the Republican Party formed in 1854 to stop the spread of slavery into the territories, Pennsylvania had been a solidly Republican state apart from the industrial "Black Country" of the southwest, the urban core of Philadelphia County, and those areas which had not supported the Civil War, such as the northern part of the Pennsylvania Dutch Country and the northeastern Delaware Valley. The southwestern region, however, had come to make the state Democratic-leaning in the 1950s, although relative to national trends Pennsylvania trended Republican in the 1960 election. This was also the last occasion until Barack Obama in 2008 that the Democrats won Dauphin County, Berks County, and Chester County. Within the more typically Democratic western and eastern peripheries Johnson won over 73 percent of the vote in Greene and Fayette Counties. ^ David Leip. "1964 Presidential General Election Results – Pennsylvania". David Leip's Atlas of US Presidential Elections. Retrieved 2018-03-25.